The multi-gym of KIettler offers a price-conscious start in strength training at home. The multi-gym is just 200 cm high and fits in low training places as well, i.e., the own gym in the cellar. Thanks to its weight block of 80 kg, the Kettler Multigym makes beginners as well as exercised athletes sweat while exercising strength training. Although the multi-gym is small, it offers enough exercises for a varied strength training at home. The Kettler Multigym is suitable for exercising all muscle groups. The multi-gym has a lat station, offers bench-press exercises, butterflies or two-handed rowing. 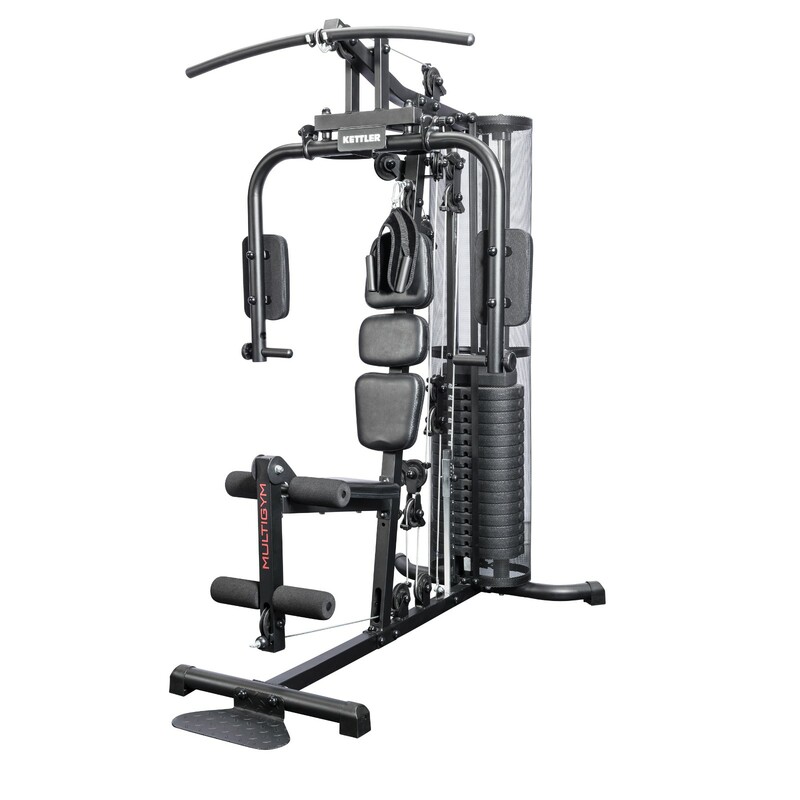 The Kettler Multigym is equipped with a cable pull station for triceps workouts and varied exercises for abdominal workouts and muscle building. Strength training becomes comfortable at home, because the Kettler Multigym has a three-part back upholstery and a height-adjustable seat. Taurus foot strap Superior In stock! Kettler Multigym add to comparison list.